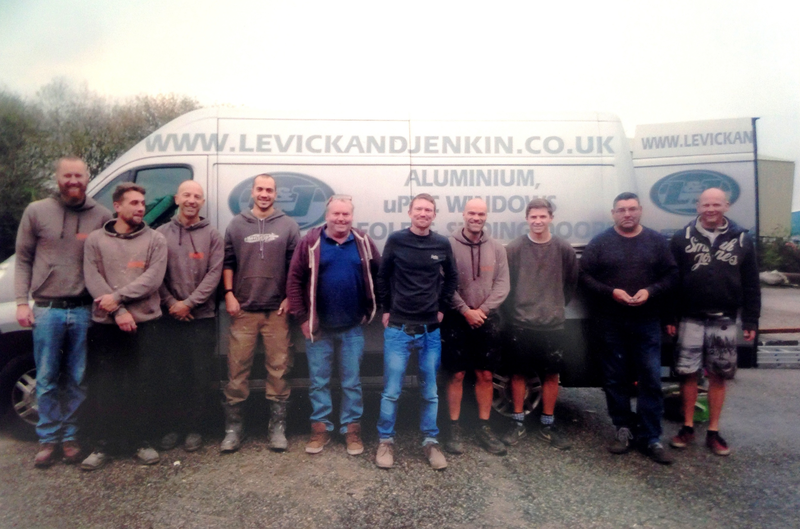 Levick & Jenkin started out as a small, dedicated partnership in 1994, when John Levick and David Jenkin came together to supply and fit, double glazed uPVC windows and doors in and around Falmouth, Cornwall. The company built up a strong and excellent reputation amongst it’s customers and became one of the biggest, local suppliers and installers of uPVC windows and doors. In 2003 John’s son, Tom, joined Levick & Jenkin and started looking for ways to improve and increase the business. After a few years of learning, installing and working within the industry, Tom took on the aluminium fabrication process, alongside fitting aluminium windows and doors. In 2015 David Jenkin retired. The company had grown to the extent where it needed more support and input, so John Levick took the decision to sell the company. Levick & Jenkin then became Levick & Jenkin Ltd and, although under new ownership, the company still strives to achieve the same first class service and customer satisfaction. Both John and Tom are still a vital part of the running of Levick & Jenkin Ltd, sharing their invaluable expertise and experience on a daily basis.